Are you tired of these posts yet? I'm alllllllmost done. Just one more after this. 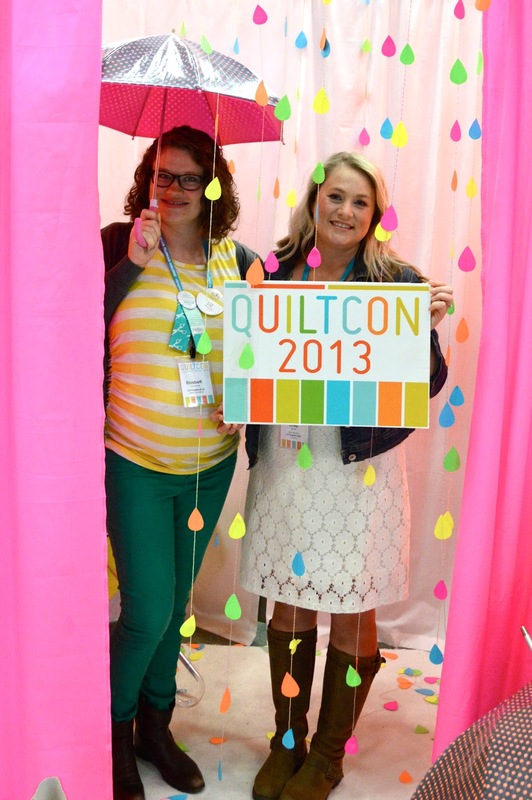 It probably goes without saying that I had a great time at QuiltCon. The LAMQG had a great contingency and it was so much fun to hang out with everyone. We also had several guild members who've moved away come to QuiltCon and it was so nice to get to see them all again! This is only some of the LA guild that was there. It was hard to get everyone together for a photo. This was highlight from my weekend, for obvious reasons! I promise I only asked to take a pregnant lady photo with Anna, it was her idea to touch bellies! Of course I was secretly hoping we could do that. Emily, who's one of our LAMQG members gone on to new frontiers, was one of my roommates. Here we are at the Michael Miller booth. Lovely ladies out for dinner before the 80's Dance Party. 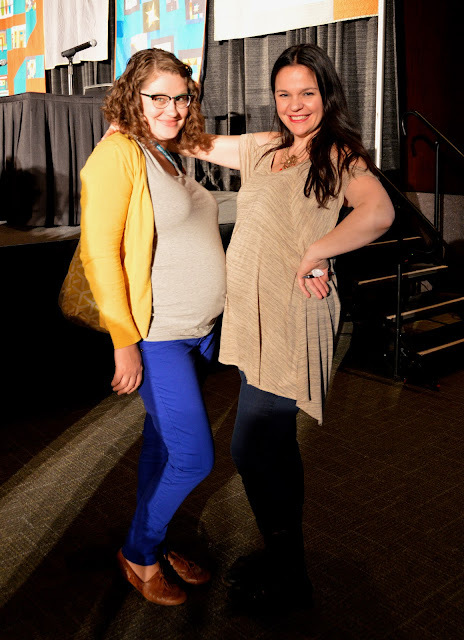 The party was tons o' fun, and that's coming from a pregnant lady who couldn't have any cocktails and who didn't think she would be up for dancing very much (she was). And of course, the good times wouldn't be complete without sharing the loot that I brought home. Looks like it was such a fabulous time - even sober! Can you tell us more about that cute bundle with the penguins? Thank ya! I got that bundle from Bunny's Designs, a shop that sells only Japanese prints. They have a web shop here: http://www.etsy.com/shop/fabricsupply. I did a quick search and didn't see the bundle that I bought but they do have lots of other great stuff!